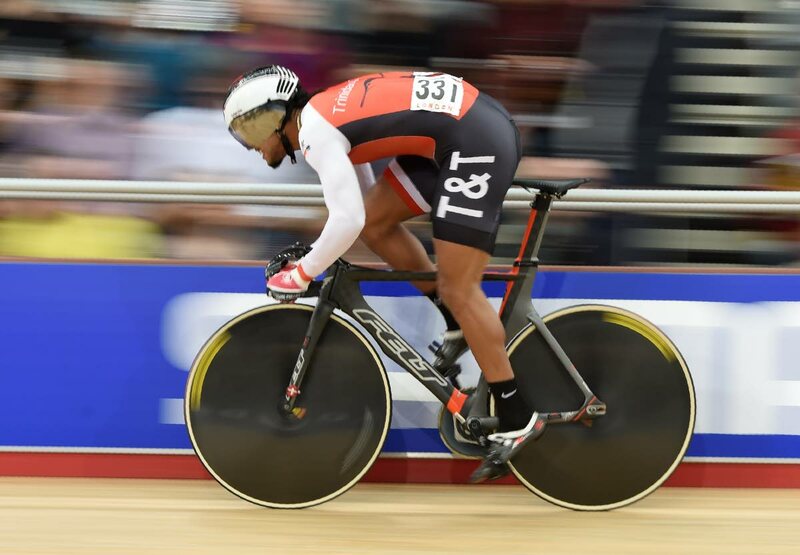 THE TTO Cycling team of Njisane Phillip, Nicholas Paul, Kwesi Browne and Kerron Bramble could not pedal to a medal yesterday as they continued their quest for jewellery, at the 2020 Tokyo Olympic Games, in the team sprint event, at the Tissot UCI Track Cycling World Cup at the Berlin Velodrome, Germany. However, president of the TT Cycling Federation, Robert Farrier said they still have a good chance at becoming Olympians, and commended the boys on their attempts yesterday. He said the team’s coach American-based Erin Hartwell, will probably look at the time analysis, and make adjustments before their next team event which will be at another Cycling World Cup event, a couple weeks from now. In the qualifying race, Phillip gave the team a good start, with a time of 17.370. Nicholas followed up with a time of 13.1 seconds, then Browne came in with a slightly longer time of 13.883 seconds. The total of 44.353 was not enough for them to make it to the top eight spots, which would have guaranteed them a place on the Olympic track. They placed tenth. Although they placed tenth in the Men’s Team Sprint, leaving the Netherlands team to take top placing, followed by Great Britain and Germany, the boys will have a chance to make a mark in the individual categories. Browne will be making his individual attempt to medal in the Kerin discipline of the tournament today, while Phillip and Paul are expected to enter the individual Sprint category, carded for tomorrow. The team did not medal in this event but it is not the end for the TTO Cycling Team, says Farrier. Newsday was told that the Berlin event is the third of six World Cup events, which judges use as a measuring stick to determine whether cyclists would qualify for the Olympics. Farrier said the best time the team makes out of these six events would be selected and compared to other times which will then determine if the team could qualify for the Olympics. The next World Cup event takes place in London from the December 14-16. Reply to "TT cyclists place tenth in team sprint at W/Cup"